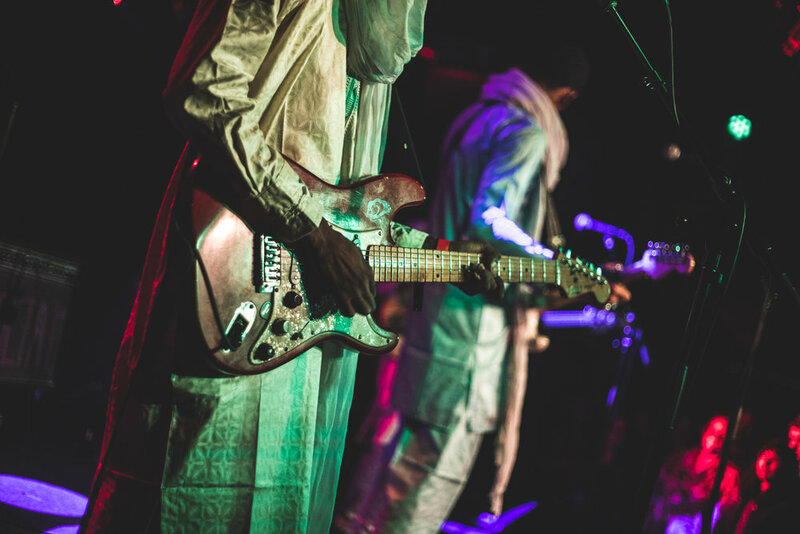 At the beginning of January, Nigerien guitarist Mdou Moctar played over an hour of face-melting west African rock to a nearly sold-out crowd at DC’s Union Stage. If you’re unfamiliar with the long tradition of West African guitar, imagine Prince playing southern blues with an Islamic wedding ensemble. 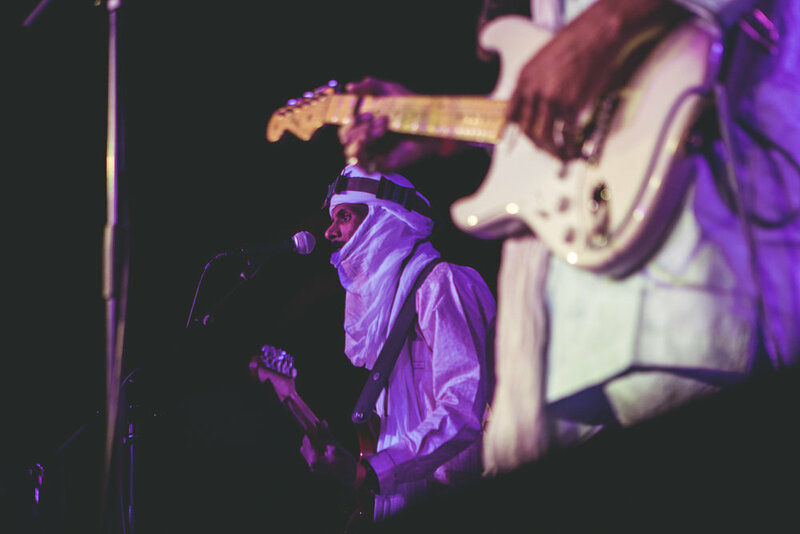 Moctar’s electric adaptation of Tuareg guitar adds layers of psychedelia to this tradition, making for a relentless live show evoking classic American arena rock. 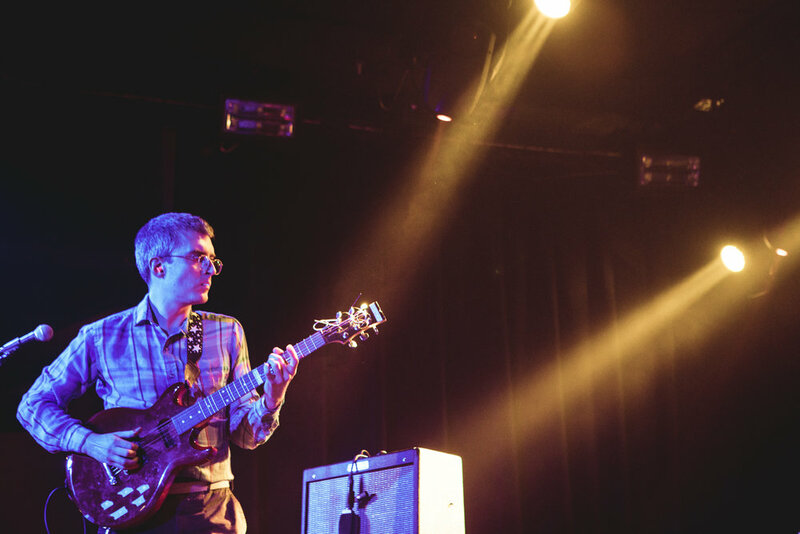 He and his three bandmates had the incessant stamina of a jam band, but an electric, Hendrixian energy. The final songs of the set were extended to dizzying, repetitive lengths, evoking the meditative adrenaline of devotional Sufi music…or EDM. Moctar has a self-assured presence. 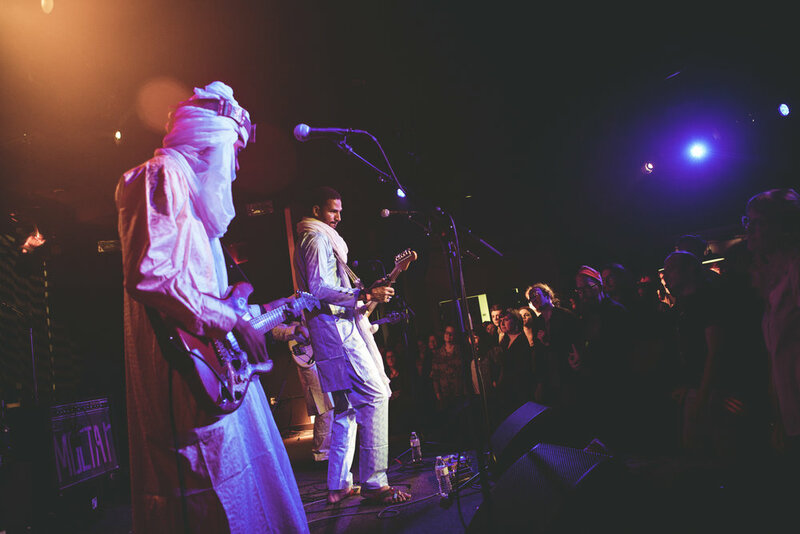 He is animated and confident, but maintains a distinct west African swagger, flashing his lefty Fender and winking at the crowd. 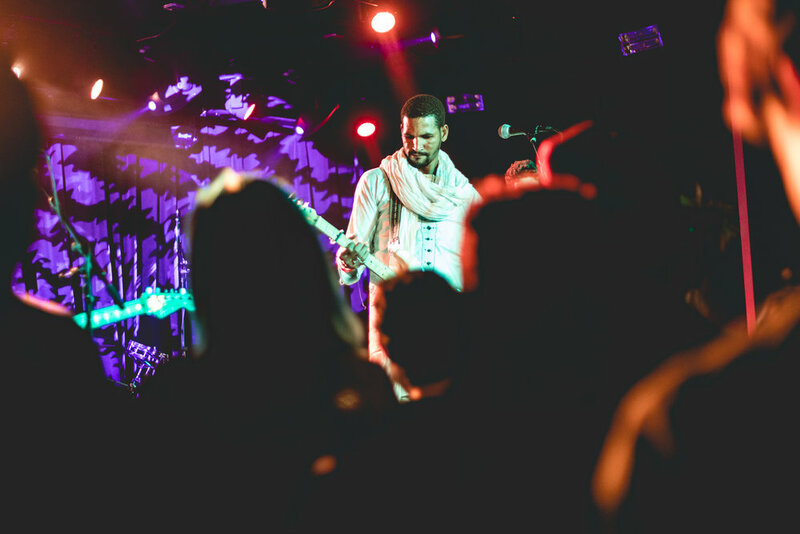 Moctar was flanked by a secondary guitarist seemingly plucked from a Tuareg wedding party and a bassist who looked like a member of Vampire Weekend, still in undergrad. The cheeky overtones of globalization were not lost on me. On the other hand, Baltimore openers Horse Lords looked like four gents from a suburban accounting firm practicing for an open mic at the annual company retreat. This was a lesson in not judging a book by its cover. 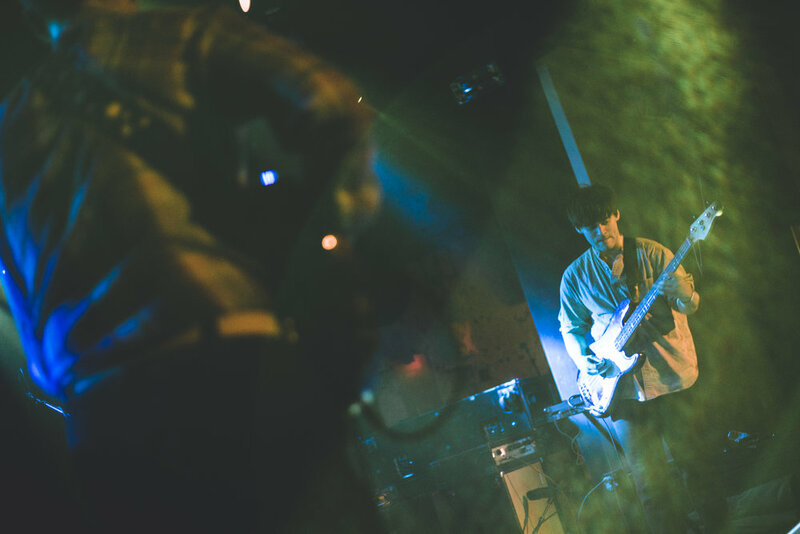 Close your eyes, and Horse Lords sounded like inhuman conductors of meticulous, yet chaotic math rock of the highest order. When I say “math rock,” I mean it. 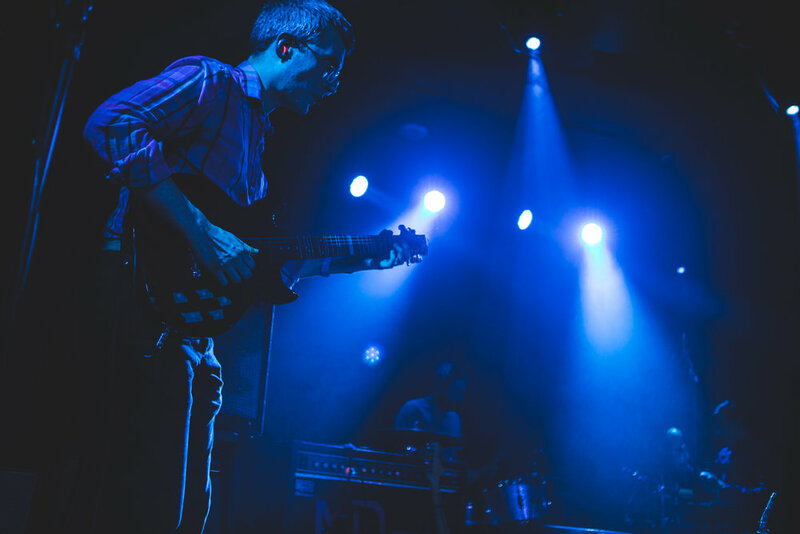 Each band member was in an intense state of concentration, seemingly counting their way through complex time signatures, polyrhythms, precisely crafted moments of dissonance and seamless, unceasing transitions between songs. It was the type of jaw-dropping kinetic experimentation and nerdy charisma that reignited my love for Baltimore’s weirdo music scene. Horse Lords was a head-turning opening act for those unfamiliar with the quartet. As a lover of all things experimental, I’m tempted to say they stole the show. But that's probably a biased exaggeration. 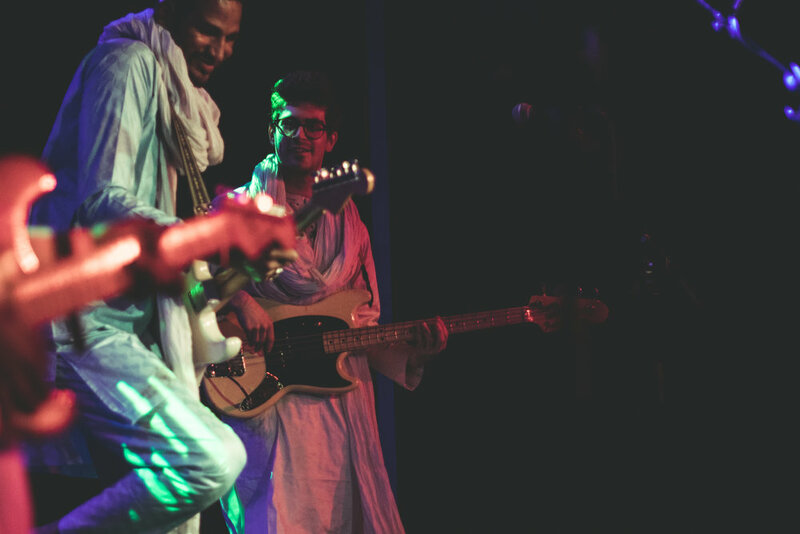 The two acts were smartly booked for different, yet tangential crowds; Horse Lords for the detailed listener who silently watches a band play with the same careful attention as an art student at an O’Keeffe exhibit, and Mdou Moctar for the worldly music lover who gives equally adoring attention, but participates eagerly in the frenzy of an exotic live set like a student on gap-year. Both crowds have a deep reverence for off-the-beaten-track musicians with the ability to create hypnotic and unrelenting experiences. And both artists had the ability to deliver.